A customized 5.12 x 3.62 printed white envelope is one affordable token for marketers who are trying to acknowledge their customers in this season. This envelope is offered in extremely affordable price range and marketers can avail price savings by ordering it in bulk. Envelopes are only offered in multiples of 100 and you can get it suitably done with any information of interest. Marketers can properly utilize this background for expressing maximum information about their business or other projects. 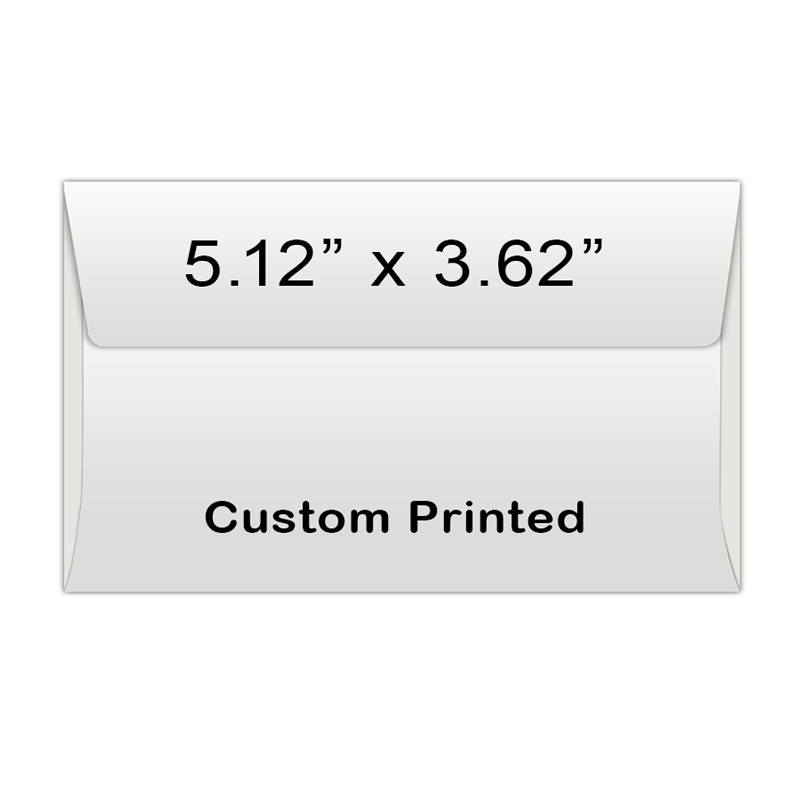 Request a quote to know discounts on mass orders of custom 5.12 x 3.62 printed white envelope. Product Size :5.125 in. X 3.625 in.